avital posted the photo this rather brilliant costumed fellow hanging out in the subway. 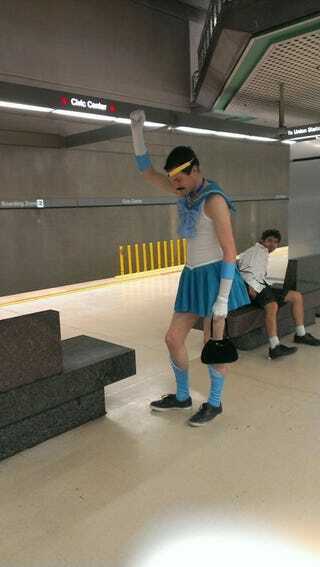 He's not just a Sailor Scout; he's Sailor Freddie Mercury. Now we need some kind of Queen/Sailor Moon musical mashup.